Oklahoma State University is being recognized as one of the nation’s best values for its data analytics program and also for providing one of the most affordable online opportunities for data analytics students. The OSU Spears School of Business program is number 13 in the ranking of Top 50 Best Value Big Data Graduate Programs of 2016 and is third in the Top 50 Best Value Online Big Data Programs of 2016, according to Value Colleges. Oklahoma State is one of only two schools in the United States to appear in the top 13 on both lists, and OSU is the highest ranked school in the Big 12 Conference in both rankings. “We are pleased to be recognized through such rankings,” said Ramesh Sharda, vice dean of the Watson Graduate School of Management and Regents Professor of Management Science and Information Systems. “OSU has long been a leader in analytics. We were one of the first MS in MIS programs to embrace analytics and have graduated hundreds of professionals who are working in leadership positions in many organizations. “We are the largest producer of SAS Data Mining certificate graduates. Starting this year, we have expanded our offerings even further. We now have a SAS-focused MS in Business Analytics degree program. Our traditional MS in MIS program now includes a data science track to allow students to learn about many other commercial and open source analytics platforms. One of the best-known public research universities in the Midwest, Oklahoma State University is a top-50 U.S. News & World Report regional university and an established leader in distance education especially. OSU’s Watson Graduate School of Management, a top business school, offers two options for students interested in big data degrees: the Master of Science in Management Information Systems (with a data science specialization), or the MS in Business Analytics (developed in collaboration with SAS for concentration in science and tech business). OSU’s low tuition and high reputation makes it a top investment choice. The mission of a state university is to make accessible, affordable education available to the people, and in the modern age, online education is one of the main ways schools can accomplish that mission. Oklahoma State University has been one of the most aggressive in recent years, building up an online education program that is extremely low in cost – only $301 per credit – and high in OSU reputation. The Spears School of Business and the Watson Graduate School of Management, together one of the best business educations in the nation, offer an all-online Master of Business Analytics, a 33-credit program designed for working professionals. Students can also further specialize with graduate certifications in Business Data Mining or in Marketing Analytics, either alone or alongside the master’s degree. The Spears School began offering the Master in Business Analytics this past fall and its popularity will only continue to grow. “Our Master in Business Analytics is an interdisciplinary, hands-on data analysis program with courses drawn from business, industrial engineering, information science and statistics,” said Goutam Chakraborty, marketing professor and founder of OSU’s Data Mining Certificate Program. “The curriculum is designed to be responsive to skills demanded by employers via extensive consultation with our analytics advisory board of companies that include Comcast, FedEx, Microsoft, SAS and Walmart among others. Value Colleges considers only regionally accredited, reputable colleges and universities with a proven track record of job market value and effective skills training. The three metrics used to rank degree programs include: pay-scale entry-level salary (if applicable), U.S. News & World report ranking, and actual tuition (as reported by the institution). The complete list of the Top 50 Best Value Big Data Graduate Programs of 2016 are available via the website: http://www.valuecolleges.com/rankings/best-big-data-graduate-programs-2016/. Also, the list of the Top 50 Best Value Online Big Data Programs of 2016 are listed: http://www.valuecolleges.com/rankings/best-online-big-data-programs-2016/. 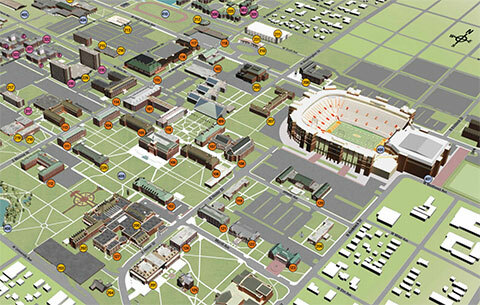 For additional information on any of the OSU programs, visit http://analytics.okstate.edu.